Is a Roma Pass Worth It? 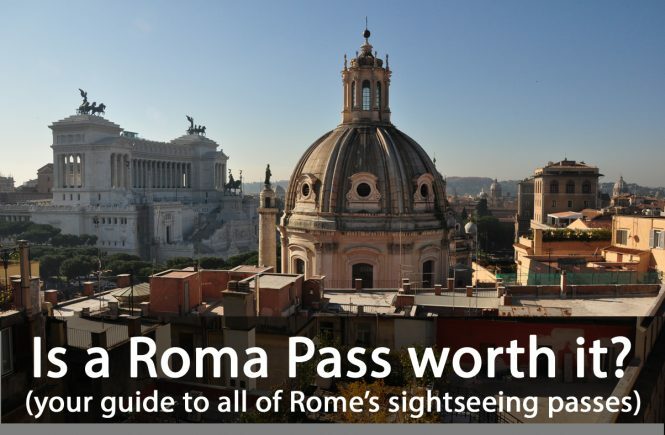 “Is a Roma Pass worth it?” has to be one of the questions I get most frequently — and from those who have done a bit of extra research, that question sometimes expands to “Should I get a Roma Pass or Omnia card… or some other combined sightseeing card for Rome?”. That question has only gotten more complicated over the years. In simpler days, Rome had one combined sightseeing pass, called the Roma Pass, for tourists who wanted to skip lines and use public transport. Now, there’s a dizzying array of options. Not only does the Roma Pass now have a 48-hour and a 72-hour version, but it has competitors: The Rome City Pass, confusingly also called the TurboPass, which includes the Vatican (but you’ll pay a premium for the addition); the Omnia Vatican & Rome card, which also includes the Vatican (but will charge you even more); and the Archaeologia Card (refreshingly bells-and-whistles free, and which focuses on Rome’s ancient archaeological sites). Though what they offer varies, all of them promise skip-the-line benefits to some of Rome’s most popular sites. If you already feel overwhelmed by the choice, I can make it simple for you. Yes, your passport’s important. But that’s not what I mean. As much as many people seem to plan their trips to Rome down to the detail, there are some mistakes that can be easy to make… from using TripAdvisor for restaurants to coming during ferragosto. Below, eight items to keep in mind while planning a trip to Rome. 1. Bring your student ID. If you’re a university student, bring your I.D. card with you. It’s true that this gets you fewer discounts than it does in more student-friendly countries like, say, Greece, but it does get you a discount at the Vatican (€8 instead of €15) and can come in handy elsewhere, too. If you’re an E.U. citizen, also make sure to bring an I.D. with you whenever you’re sightseeing: You lucky Europeans get discounts at almost all of Rome’s sites, including the Colosseum, forum, and Borghese Gallery. 2. Don’t come in July or August Think about what time of year you’re coming. Yes, little Johnny gets the summer off from school. But so do everybody else’s kids, so this is when the hotels are full (and pricey), the Colosseum’s packed, and you have to stand on tiptoes to get a look at the Vatican’s Laocoön. Not to mention that it’s hot, sweaty, and in August, Romans celebrate ferragosto — meaning that the city’s best restaurants and family-run shops are closed. (For proof, see photo above). Scheduling limitations are understandable. But if there’s any way to sweep away to Rome in June, or better yet, spring break, fall, or Christmas, you’ll have a much more relaxing, rewarding experience. Little Johnny will thank you. 3. 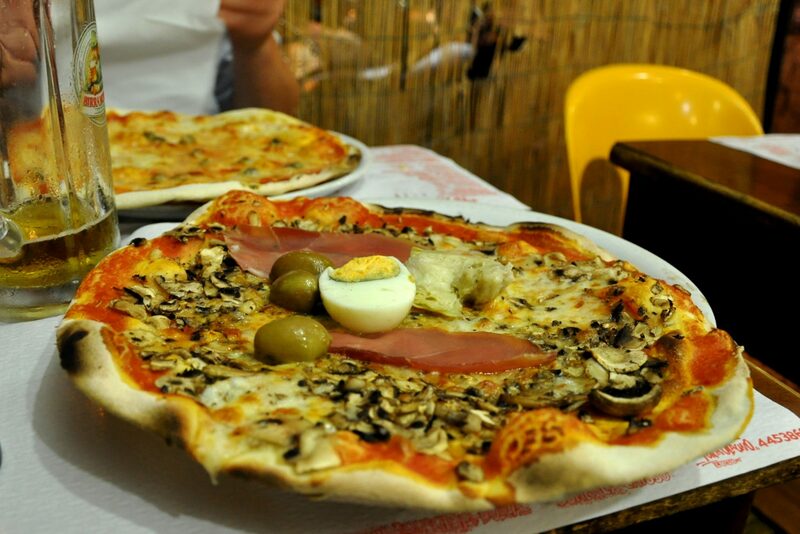 Do your restaurant research… Understandably, a lot of people come to Rome and think, “All these restaurants serve Italian food. They MUST all be good!” Sadly, that’s not the case. You would wind up eating in a tourist trap if you showed up at Times Square hungry and confused (I know I have…), and you will wind up having the same experience in Rome. Not might. Will. It’s a tourism-based city, and lots of restaurants take advantage of that, shoveling their customers terrible, microwaved food along with a gut-wrenching bill. So if you’re spending any amount of time thinking about what museums and sites you want to see in Rome (and who doesn’t? ), then do yourself a favor: Use some of that time to think about where you’ll eat, too. You’ll be spending at least two hours a day dining, three or four if you’re doing it the Italian way. 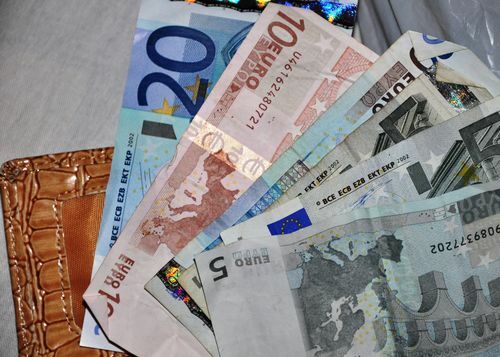 You don’t want to feel like those hours, or euros, are wasted. 4. …but don’t do your restaurant research on TripAdvisor. Yes, TripAdvisor is good for some things. 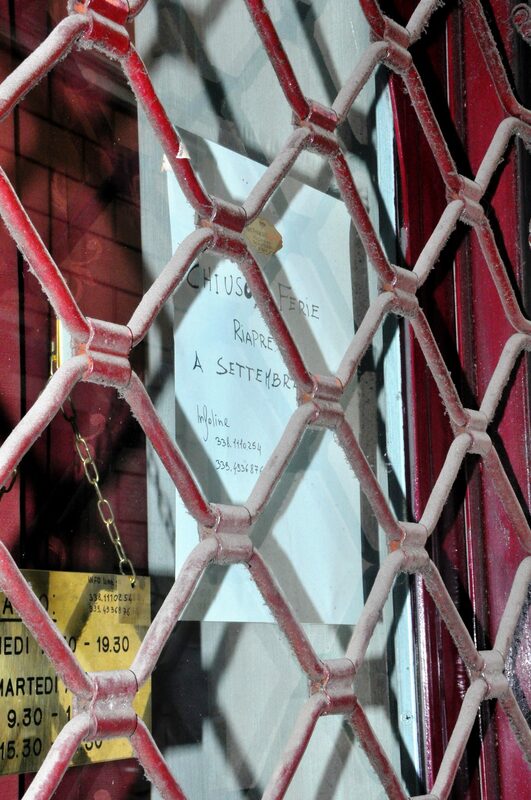 It is not good for restaurant recommendations, at least here in Rome. It’s too easy to play the system — aggressively asking clients to post 5-star reviews, having cousins and siblings put up fake reviews, etc. I’m not casting any aspersions on the restaurants that are listed as Rome’s “best” on TripAdvisor. But. Suffice it to say that I’ve never heard of most of the TripAdvisor top-15 (Taverna dei Fori Imperiali, a local favorite, and Babbo’s, which is pretty good for the value, aside), among anyone claiming to be a “foodie” or even “very enthusiastic eater.” And those restaurants have never, ever come up as recommendations to me from any Roman or expat friends in all the times I’ve asked. But the bad news continues. 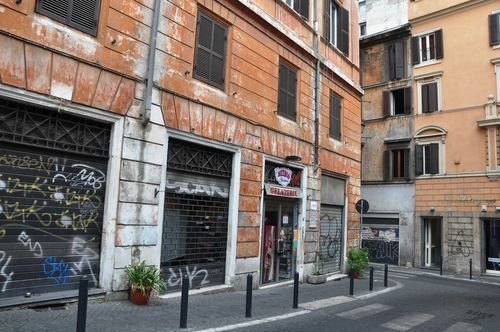 Also be wary of guidebooks, since as with all restaurant scenes, things change quickly here in Rome, and guidebook-info is often at least a year behind. (Not to mention that as soon as a restaurant winds up in a guidebook, it often starts resting on its laurels). For proof, just check out my post on Ristorante Montevecchio. In 2007, it had a glowing review from NPR. But three years is a long, long time in the dining world. So what do you do? Well, research elsewhere — preferably in recent newspaper articles like, okay, mine, and on good Rome-food websites like Katie Parla’s www.parlafood.com. I’ll also be adding more and more restaurants to the “Food and Drink” part of this site, so stay tuned. 5. Think ahead of time about taking a tour. Because if you’re interested in the concept at all, what will happen is this: You’ll get to the Colosseum. You’ll see the line. Some nice-looking 20-something holding a clipboard will stop you and say “Hey, do you speak English? Do you want to skip this twenty-three-hour line?” And before you know it, you’ll be hustled into a tour that, well, might get mixed reviews, to put it nicely. Instead, do your research in advance and think about what you might want to take a tour of. (The Vatican can overwhelm visitors, and those companies worth their salt arrange for you to skip the line; the Forum can seem like a pile of rubble without a knowledgeable guide; an evening city walk can help you get your bearings). Then book it. Done. You don’t have to think about it again — nor do you have to get swept into a group of 50 with a barely-English-speaking guide, all because you didn’t book a well-researched company in advance. 6. If making a strict itinerary, know your closing dates. I never fail to be saddened — and surprised — by the number of visitors who come to the Vatican Vatican museums on Sunday, expecting to waltz right in. Why do these downtrodden hordes surprise me? Because the Vatican museums (including the Sistine Chapel and Raphael rooms, of course) are always closed on Sunday. (Except for the last Sunday of the month, when it’s free, but that means the line snakes for miles and miles, so….). If you’re planning your sites day by day, make sure you know what will be open when. If you can’t find out opening dates for a museum/restaurant/site through a quick search online, give them a call on Skype. Also, remember that if you want to go to the Borghese Gallery (and you should! It’s lovely! ), you must reserve in advance. 7. Don’t get a RomaPass. Necessarily. A lot of visitors do this ahead of time because it seems like a great idea: Once you activate it, your first two entries to sites are free, the rest are discounted, and you get free public transport, for three days. Sounds pretty great, right? Before you spring for it, though, consider which sites you’ll be going to first — and if “skipping the line” is worth it. (The only RomaPass site that tends to have a long line is the Colosseum). A RomaPass costs €25. Let’s say you’re coming to Rome and you’re doing a Colosseum tour with a company that lets you cut the line. So instead, you immediately do the Capitoline museums (€7.50 saved) and the Palazzo Barberini (€5 saved), neither of which have lines that I’ve ever seen. In the next three days, you would have to take the bus or metro six times and hit up three more sites that charge you entry for the card to even pay for itself. (Are you even going to three more sites that charge you entry? Most top spots, including the Pantheon, Spanish Steps, Trevi Fountain, St. Peter’s Basilica, and other churches, don’t have an entry fee. Plus, the RomaPass does not include the Vatican museums, a €15 entry). You also don’t have to buy a RomaPass in advance: If you decide you want to buy one once you get here, you can purchase it from any of the ticket desks of the participating sites or from ticket desks at some metro stops, including Termini, Spagna and Ottaviano. For a RomaPass FAQ, click here; for a list of the museums it includes and their respective discounts, click here. 8. Forget the traveler’s cheques. Or, at least, don’t go too crazy: They’re nice insurance, but can be way more of a hassle than they’re worth. Bringing a big wad of cash and expecting to change it when you get here is a bad idea, too, only because any of the money-exchange places you find will give you a “you-must-be-kidding” (and not in a good way) kind of rate. Easier: Bring a couple of ATM cards and use them when you get here. (At least one will work. Really.) For bigger purchases, use a credit card, like Visa’s CapitalOne, that doesn’t bang you with a surcharge for international fees. Both options will give you the “High Street” exchange rate, not the rate that some guy with a storefront and some pretty currency symbols came up with. Just remember two things. First: Credit cards are accepted far less often in Italy than they are in other countries, including the U.S. and U.K., so you should always have cash on hand. Second: To be on the safe side, make sure you call your bank and credit card companies in advance to inform them that you are going abroad, so charges that they see won’t be the nefarious workings of some Roman scam artist.